Challenge your friends to a battle of the minds. 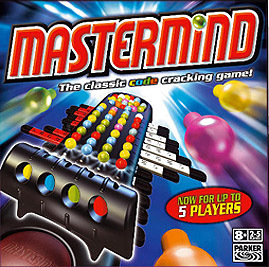 Mastermind has been stylishly redesigned and features a rotating game unit, allowing up to five player to compete. You'll need all your power of logic and deduction to make or break a cunning sequence of colours. Prepare to engage in the ultimate contest of skill and reason.